All SCB Solutions' smart card readers have been fully tested and are 100% compatible with the CAC/PIV cards. How do I install my new smart card reader? Plug the reader to your computer. You are done. The driver is automatically installed. With USB readers, a "green light" on the reader confirms that the driver is installed and running. Note that the driver will not display any smart card icon in the system tray. This is a feature of the "CAC/PIV card middleware"; see section below. How do I use my CAC/PIV card? Your CAC/PIV card has been specifically designed to identify and authenticate you. To use this card on your PC you will need to get from your computer support department a specific piece of software called the "CAC/PIV card middleware." This software enables government personnel and contractors to use their card for a variety of applications right from their PC. This software interfaces with the PKI credentials and other login credentials residing on the card, and acts as a conduit between the card's cryptographic functionality and the networked applications. Concerning CAC cards, only the local command can make the decision to provide CAC/PIV Middleware to individuals for use on home (non-governmental) computers. If the local command approves the use of the CAC Middleware on home computers, it is then the installation DOIM's responsibility to provide the software. 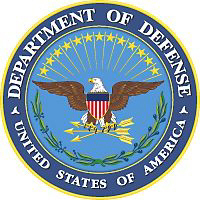 Each Army installation has been provided a specific number of middleware licenses. For information pertaining to your installation's licenses contact your local Director of Information Management (DOIM) or IT support. 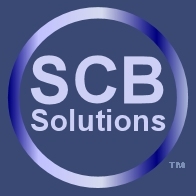 If you have any other question or setup problems with your reader(s) please send us an email at SCB Solutions. Friday 19 April, 2019 11174755 visitors in the last 12 months.